Just a little while ago, Reggie “My Body is Ready” Fils-Aimé announced his retirement, and now it’s Kaz “Riiiidge Racer” Hirai. After 35 years Kaz Hirai says he’s done and Sony is in a good enough place where he can leave. That may sound like he’s boasting, but don’t forget, this is the guy who brought Sony back from the abyss during the Playstation 3 crisis. And look where they are now. I think he’s deserved a couple of pats on the back. PAX East is going on this weekend and Gearbox Software had some announcements to make. They wet people’s appetites beforehand with a little teaser trailer that made it abundantly clear what it is they wanted to announce. Let’s take a look at how that went, shall we? It was not smooth sailing, but it could have been worse. They could have accidentally played whatever it was Randy Rocks Off had on that flash drive. They tap danced around whether or not Borderlands 3 is coming to Steam or E.G.S or both. Which does not bode well. But what’s more worrying is what elements of other looter shooters will they adopt? I’ve had an idea for a website for a couple of years now. Unfortunately I don’t have the web developing skills to make it have the functionality I want. I had some help a while back but I don’t think they can help me anymore. Still I looked into it some more this week. I have to figure something out. In a perfect world, it’ll work out and I can avoid needing to monetize my YouTube channel all together. I was lying in bed the other day and this saying popped into my head. I’ve heard Americans say that: “A liberal is a conservative who hasn’t been mugged.” So I got to thinking. What exactly are they trying to say with this? More specifically, what is the teaching that they are trying to impart with this? In their opinion, what is the quote/unquote “correct” lesson to learn from such an experience? American journalist, Tom Wolfe said: “If a conservative is a liberal who’s been mugged, a liberal is a conservative who’s been arrested.” Something to think about. The most significant thing to happen all week is the EU passing their new copyright laws with Articles 11 and 13 intact. Where were you when they put a man on the moon? 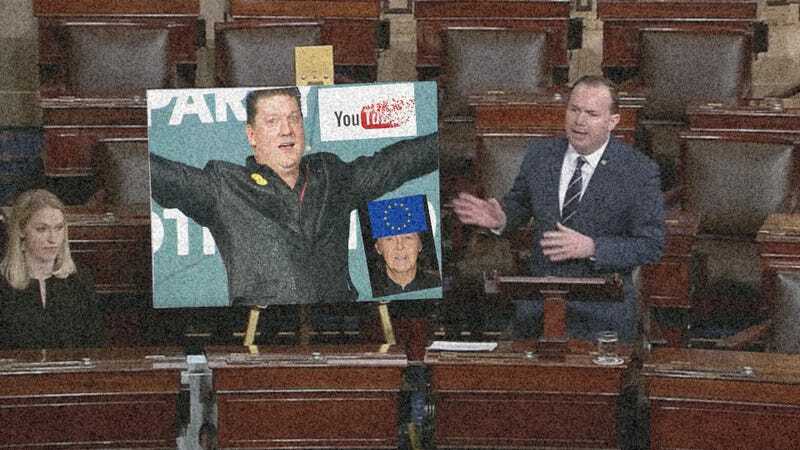 Where were you when you found out this copyright directive passed? Quite conveniently, I was in a government building at the time. But other than that, I don’t really want to talk about it. Needless to say, concerning these so called representatives, I am not pleased.